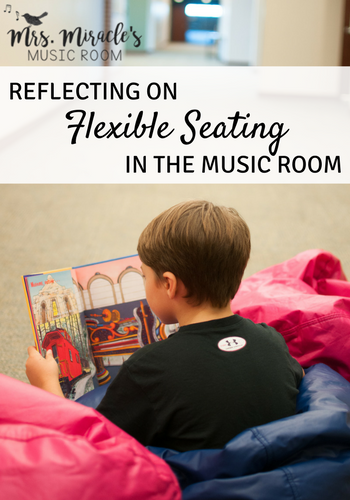 This past year, I implemented flexible seating in my music classroom. 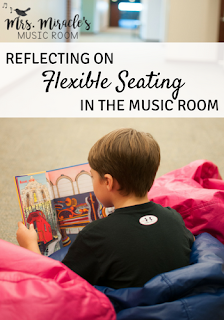 Earlier this year, I wrote about which seats I bought, and a few months after that, I wrote this post about how I introduced flexible seating. In today's post, I'm writing about what worked and what I'm changing for next year. Overall, the kids LOVED the seats in my room! They were always super excited to get the seats, whether they were working on worksheets, working in small groups, or at centers. I also had some students get special seats if they'd been star student the previous lesson...that reward was a BIG hit! When working at centers, I sometimes had only one center with seats, and that center had all the same seats. For example, the worksheet station would have only wobble seats. That was a great way to make an otherwise not-as-exciting center WAY more exciting! Which seats did students like the most? By far, the two most popular seats were the exercise balls and the wobble stools. After that, I'd say the wobble cushions/ balance seats were pretty popular. Note: these links above are affiliate links. Which seats weren't as popular? I had high hopes for the jump bands on chairs, as I have always been one to move my feet a LOT when sitting in a chair. But they just weren't as popular as I thought they would be. Neither were the rugs I purchased at Five Below, or the bath mats I mentioned in my first blog post. I love the idea of giving students with attention and sensory needs special seats to help them focus. It's not that this didn't work at all, but I think I can do a better job of thinking this through, and pulling students aside to explain that they could use those seats if needed. I ended up just doing it when I thought about it, which was kind of haphazard and not as effective as I think it could have been. I want to do a better job when I'm writing my lesson plans of thinking through if and when students get seats. I had this one fifth grade class last year that as soon as I would give directions to get into small groups or work individually, they'd run to the chairs. I had to stop them several times to explain that I hadn't said to get the chairs and that they needed to wait for me to say that. I may tell students at the start of the year that if they think it would be a good time to sit in the chairs and I haven't mentioned it in my directions, they need to ask. On that same note, I'd like to give students more opportunities to get the chairs. Whether I put more seating into my centers or I play more games like "Scoot," mentioned in the second blog post, or I intentionally write more seating into each lesson, I know the kids will love it! Even though there were seats that weren't as popular, it was good to have enough seats for every child to have something. Next year, I'm thinking of doing my saucer chair, exercise balls, wobble stools, wobble cushions, crate seats, and then add other seats, like the stools from Five Below that Tracy King mentioned in this blog post, or a few bean bag chairs. I could still have the seats that weren't as popular for students to choose from, but then add a few new ones! 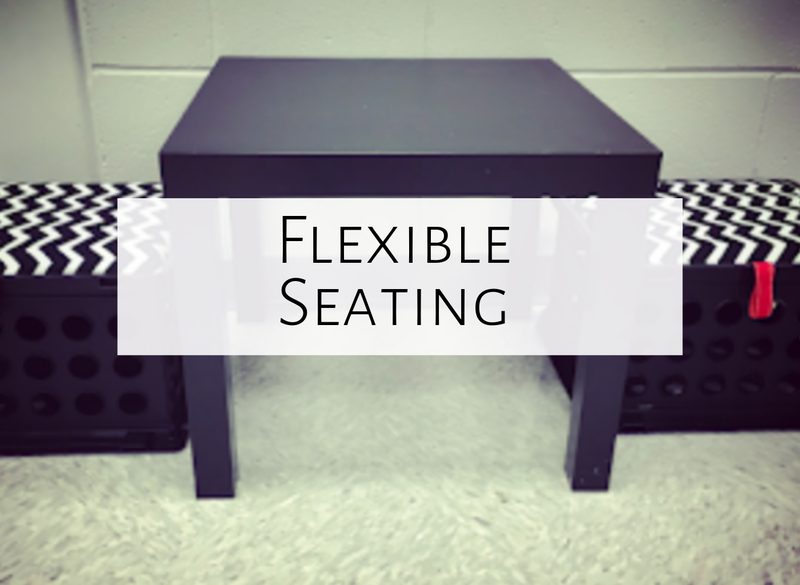 Flexible seating supposedly helps students with sensory and attention needs to focus while learning. Did I see that? I think so. But beyond that, I think what I love about flexible seating the most is that it honors students as learners. You are saying to them as their teacher that you know they don't all learn the same way and that you know they need different things. It is a powerful message. I think that besides the novelty of sitting on the chairs, students really do appreciate that you are taking the time and space in your room to honor them. What is your experience with flexible seating? Feel free to comment below, and happy planning for the year! Sounds like fun for the students. Just curious how you were able to remember names for all of the students. I have grade level schools and only deal with Kindergarten and 1st grade students and I find it rough trying to remember the 600+ names. Did you have any tricks that helped you with the various seating layouts? Hi there! I actually wrote a blog post about remembering 600+ names! Here it is: http://www.mrsmiraclesmusicroom.com/2016/02/6-strategies-for-remembering-600-names.html. I haven’t tried flexible seating in the same manner you have. 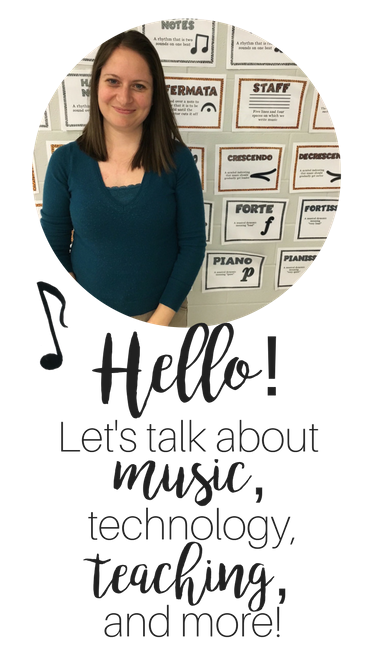 I teach elementary instrumental music. What I have done is to allow students to stand and play in certain places in the classroom if they desire. They can move at any time to seated or standing provided they aren’t being a distraction. I find that they are very respectful of these class rules and procedures. Some students enjoy the stretch or change of position compared to sitting during most of their day. Students in the second row also have trouble seeing the lower lines of music on the interactive whiteboard when we use the Smart Music program over the front row’s heads and music stands, so they need to stand at times. Do you think the wobble chairs or exercise balls would work for playing instruments with appropriate posture? Do they accommodate students who are approaching adult height, such as my really tall 4th and 5th graders? As far as playing while sitting in a chair, I don't think the exercise balls would work--they are too low. The wobble chairs might work, though. I am teaching beginning band this year for the first time in a few years so I will try it out and see! I purchased the large buckets and bucket seats from Amazon. I purchased the seats in different colors so it made for easy grouping. They were easy to move into different configurations or even to carry outside for music outdoors. The buckets could be stacked to the side to make room for movement activities. The kiddos who needed to move could twist a little but not so much that it was disruptive. Then we could flip them over for bucket drumming!